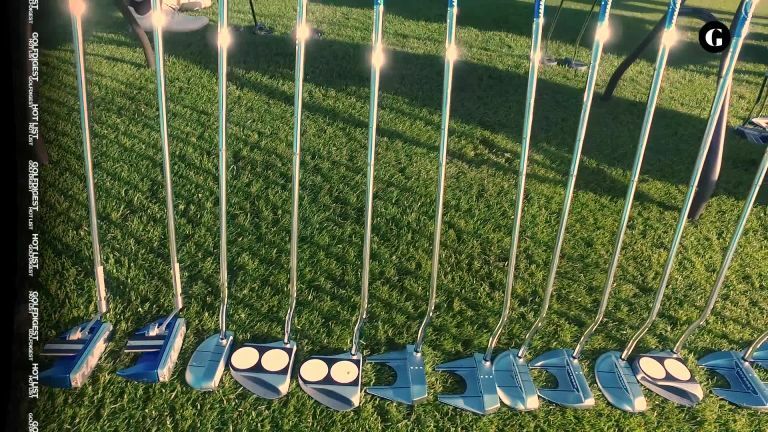 The Verdict: With many putters, the sightline can be an afterthought, but here it has been completely reimagined. The visual aid has been raised from the base of the putter to the height of the center of the ball. The result is an enhanced sweet-spot alignment, regardless of where your eyes are positioned over the ball. The instant you place it down it feels stable. The best-feeling Cleveland putter I've ever hit. A good mix of softness and feel off the face. The second you put it down it feels stable, the wobbliness doesn't creep in, lets you focus on task at hand. It's so stable and easy to align. Sound and feel are muted but provide enough feedback.